Black Friday does not exist at the little mall in the small town my mother lives in, thankfully. 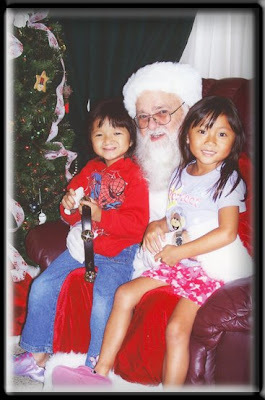 We were able to see Santa and get pictures taken for only $5. The babies did not like Santa or Mrs Clause one bit. The girls were very happy to see him this year though.